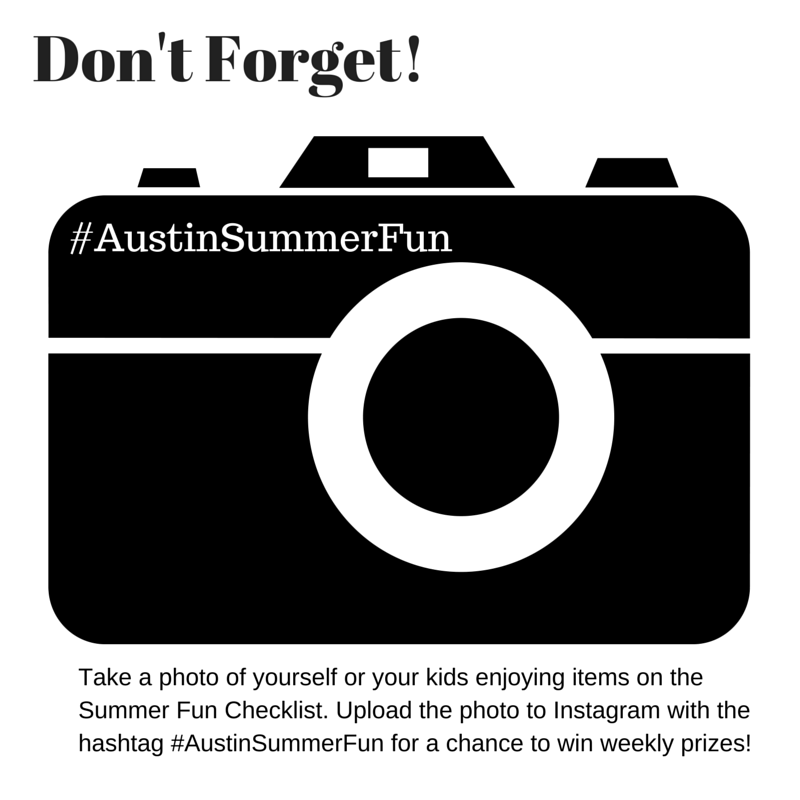 As part of the Austin Summer Fun Checklist, we are featuring articles all summer long of fun things to do in the Austin area with kids! We love the culture, the fun, the food, and the general vibe of South Congress in Austin. Nicole shows us how we can have a whole afternoon of fun on one street in Austin. Great resource! When we are thinking about places to take out-of-town guests, one option always pops into my head: taking a stroll down South Congress Avenue, which is of course more commonly known in these parts as SoCo. There’s really something for everyone along this strip, whether it’s food, shopping or even treats for the kids. Just so you are prepared before heading out: Most of the parking spaces are back-in only and most of the surrounding street parking is reserved for residents. Since Austin is somewhat new to this type of parking, I sometimes find it to be stressful, especially on busy days. Just so you are prepared! I usually base my starting point on how long we plan to spend. 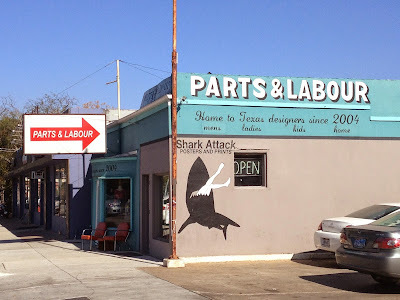 If we have lots of time, we start at Parts & Labour, which is one of my favorite shops in town. One bonus of starting here is that parking is sometimes a little easier. Stocked with all kinds of goodies from Texas artists, I’ve purchased many a gift here (and of course, a few things for … ahem … me). Although their inventory changes, you can get a sense of the items they carry by checking out the store’s Instagram feed. If we have guests with us, we might poke our heads into Texas National Outfitters, the store which sometimes has a stuffed deer riding in a convertible parked outside. We generally then cross the street to walk on the west side of Congress, window shopping until we have a decision to make: Jo’s Coffee for a pick me up (or to take a photo with the I Love You So Much mural) on our side of the street, or to cross the street to enjoy some Amy’s Ice Creams. If we have tourists along, at this point, I diligently point out the Continental Club and explain its role as a mainstay in our live music scene. The next block is TOMS, the coffee shop/storefront/community gathering spot built upon Austinite Blake Mysoskie’s idea of giving one pair of shoes away for each pair purchased. In addition to being a place to get a drink, the store hosts frequent events, which you can find out about by signing up for the store’s email list. When we are only looking to spend a few hours, we actually start off our trip at Home Slice Pizza for lunch. Home Slice is one of our favorite pizza places in the whole city, and for good reason. One way Home Slice keeps kids happy is by doling out pieces of dough to play with while your meal is being prepared. That said, getting a table during prime time can be tough. That’s where More Home Slice comes in. Literally located next door, you can’t order from the whole menu, but you can pick up a slice (enough for most kids) or two (enough for most adults) and even a beer. There is limited, barstool seating inside, but usually plenty of people eating outside wherever they can find a spot to sit. Although Home Slice does has a lot, we find it’s usually full, but there is overflow parking at a church lot a block away and we have almost always found parking there. You can find all kinds of cool things at Tesoros! From Home Slice, we might stop to take a photo across the street at the painted wall by Hey Cupcake which reads “Smile even if you don’t want to” and then cross the street to check out the stores. Tesoros is one of my favorites, with a lot of imports from Latin America and other countries. (Tip: If you just want to go there, they have a small parking lot out back.) Out-of-town guests (and kids of all ages) enjoy Lucy in Disguise With Diamonds, a great costume store with a mind-boggling selection of accessories. My husband’s favorite spot is Uncommon Objects, which has an impressive array of antique and vintage items. Another fave spot with guests is Allen’s Boots, where the aroma of leather wafts out when you open the door to enter. Usually by this point, my kid is ready to go to his favorite place, so we head to Big Top Candy Shop, where he can choose his sugary treat. Usually, he stocks up on Pop Rocks, bulk candy and a few boxes of his favorite things, and we ration the spoils for the next week or two. Don’t forget that South Congress is transformed for First Thursday, a popular monthly event taking place — you guessed it — the first Thursday of each month which is billed as “one big block party” with store specials, free drinks and later closing times for businesses. What’s your favorite place to go on South Congress? About the Author: A recovering workaholic, Nicole Basham now spends her time rediscovering Austin through her 9-year-old son’s eyes. A soccer-playing mom, Nicole also enjoys tickling too close to bedtime, taking in some live music and being silly. You can find her writing at LiveMom.com and FreeFuninAustin.com.